We had lost touch nearly two decades prior, but talking with her again felt like we had picked right up where we had left off. It was almost as though, at the age of fourteen we had decided “this friendship is solid, let’s just hit the pause button and pick it up again when we’re old enough to appreciate it”. We have had great fun catching up on our lives. She is married now, and has departed Anna Maria for the UK, while I have stayed in warmer climes near Anna Maria Island. We talked about how we never would have pictured ourselves now when we were young girls growing up on Anna Maria, and yet here we were all these years later, making things happen for ourselves. So, when she mentioned she was planning a family holiday to Anna Maria Island to show her in-laws and husband the idyllic beach towns where she grew up, I jumped at the chance to make some recommendations to her! 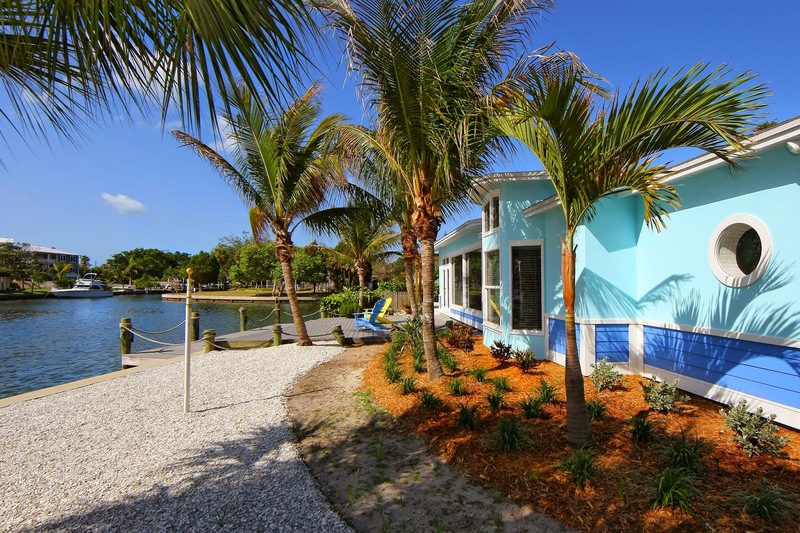 After all, I am practically a professional vacationer, and I will not rest until I’ve stayed in all the best places in Anna Maria! As all the Pineapplefish rentals are so family-friendly and comfortably luxurious, they were obviously at the top of my recommendation list. The group wound up booking Honeyfish, a super-charming nautically-decorated cottage overlooking the water; as it was generously equipped with four bedrooms and four bathrooms, they even had some extra room to spare! Which meant my daughter and I got to drive out to Anna Maria and spend a day and a night with them. I quickly discovered that most of the vacationing family had taken to spending most of their waking hours outside. I assumed it was because they were soaking up some much-needed Florida sunshine, but soon found out they were fascinated by the unusual wildlife that frolicked in their yard and in the waters behind their Anna Maria rental house. Each morning a flock of wild White Ibis would scurry up and down the street, sweeping through front yards in a well-organized campaign to use their bright red hooked beaks to devour insects and snails that had been flushed from their hiding places by the morning dew. It was a truly impressive sight – and slightly terrifying! Remind me to never make an enemy of an Ibis. Luckily, their other animal friends were much more sedate and stately. 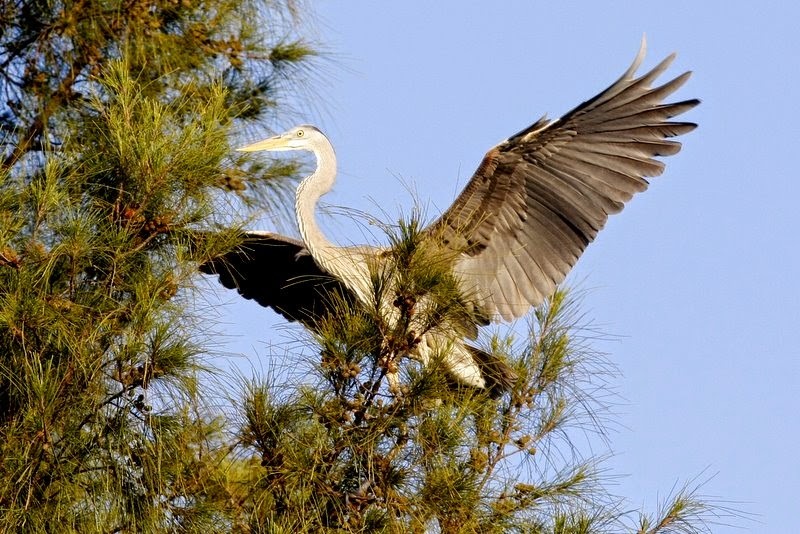 A few hours later, as we were enjoying coffee on the back deck, we were joined for a while by a pair of Great Blue Herons. They hung around the yard for about a half an hour, meandering aimlessly like two little old ladies out for a walk together. Eventually they headed off towards the beach, presumably to catch themselves a fresh lunch. And we didn’t just see birds, either. Later in the day we were graced by the presence of the massive, noble Florida manatee. 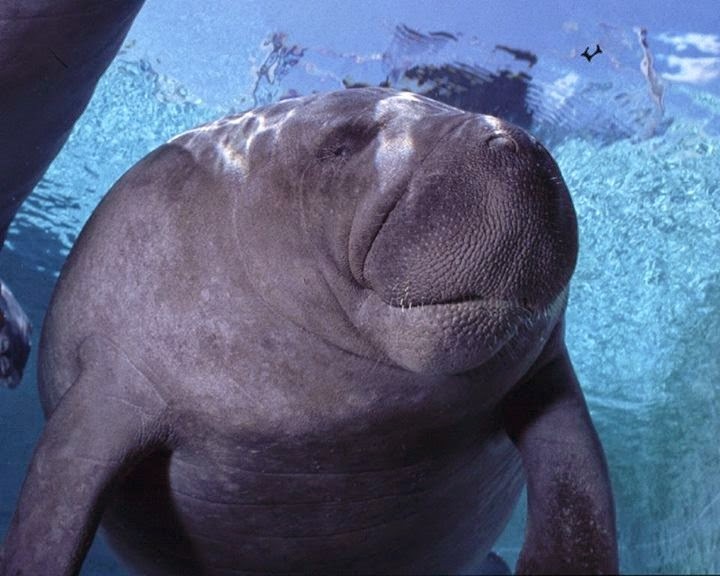 One of these gentle creatures floated through the water munching on underwater vegetation. She looked, at first, like a large shadow, but soon surfaced to take some breaths near the property’s lifting dock. My daughter squealed in delight at seeing her first manatee in the wild: we’ve seen them in the Mote Marine aquarium before, but there’s something so different about seeing them in their natural habitat. Our manatee seemed to welcome her audience, and even did a playful barrel roll for us before submerging once more. Unfortunately, the real world soon beckoned and Eisley and I had to depart Anna Maria Island and return to our normal lives while my friend and her family enjoyed the rest of their vacation. But before we left I urged them to experience even more of the amazing Anna Maria wildlife by exploring Robinson Preserve or by booking a kayak tour of the hidden creeks of Anna Maria through Beach Bums on Historic Pine Avenue. The last I heard, they had stocked up on nature guides and were plotting what animals they would be tracking down on next year’s visit. Here’s hoping none of them finds out about the shark tracker in hopes of meeting one up close and personal!